Scientific Editing and Consultation was founded in 2013 to provide professional English-language and editing services for manuscripts, grant applications, journal articles, and theses in the biological sciences. My company specializes in the writing problems encountered by non-native writers of English. Scientific Editing and Consulting also offers translations from Swedish to English, technical writing courses and writing workshops, as well as laboratory courses and consultations in protein crystallization. The course description and syllabus for a typical 1.5-day writing workshop can be downloaded here. Why choose Scientific Editing and Consultation? I am a researcher and writer myself. From 2004-2015, I sat on the editorial board of Acta Crystallographica and as a guest editor of Journal of Crystal Growth in 2007. Having been a scientific editor at these journals, I can share my expertise regarding how editors decide to accept or reject a paper. 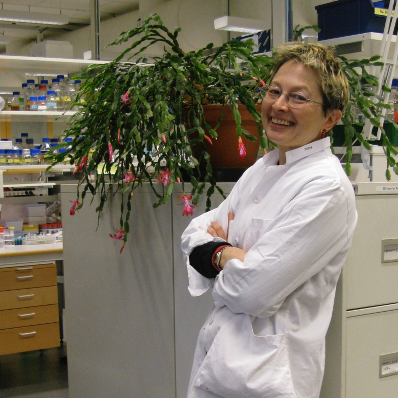 I am a research engineer at the Department of Cell and Molecular Biology at Uppsala University, where I have written and edited two textbooks on Protein Crystallization and 50+ scientific articles. Over 300 Ph.D./M.D. students have taken my courses “Writing Scientific English for the English-Second-Language (ESL) Learner” and “Writing Skills for Science” at Uppsala University and Karolinska Institute. As a member of the European Medical Writers Association, I participate in their continuing education workshops. I am also a member of the European Association of Language Teachers for Healthcare. In addition to writing, teaching, and researching, I am committed to communicating science in an understandable way to lay audiences, especially young people. I enjoy the challenge of explaining complicated science in a way that non-scientists can understand it. Editing can be done according to either The Chicago Manual of Style or University of Oxford Style Guide. For medical articles, I follow the recommendations of the AMA Manual of Style, 10th Edition.